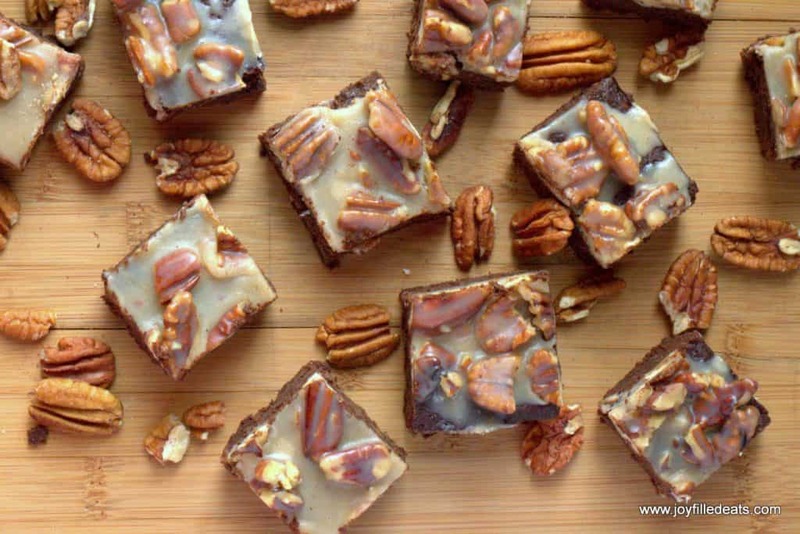 These Pecan Praline Brownies are my absolute favorite brownie ever. They are fudgy, full of chocolate chips, and covered with a layer of pecan praline. Not my favorite low carb, gluten-free, sugar-free brownie. My favorite brownie of any brownie. They beat all those wheat and sugar brownies in any competition. A couple years ago my husband brought home some big name famous brownies from work and I cheated on my current diet to try one. Not worth the calories. They claimed to be the best brownies ever and they were just a disappointment. These keto brownies, however, will not be. I promise. This makes a family-sized batch of 24 brownies in a 7 x 10 pan. You can half it and make it in a smaller pan if desired. 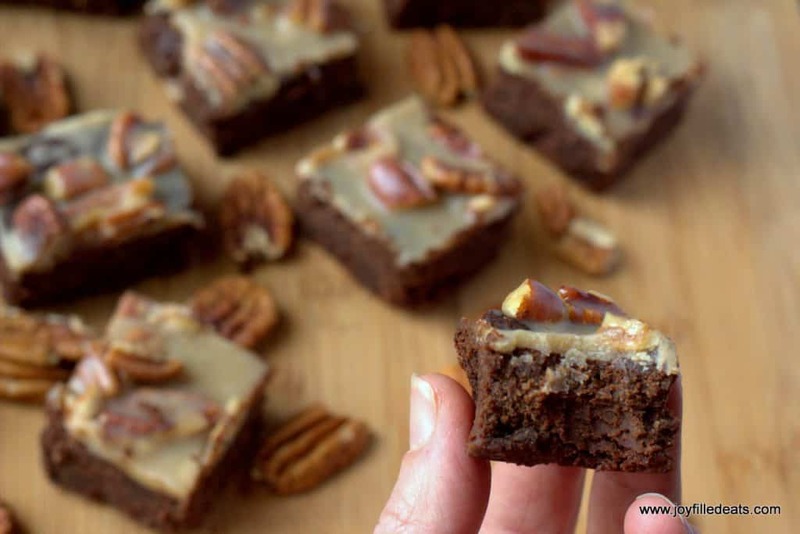 My Pecan Praline Keto Brownies are sugar-free, grain free, gluten free, low carb, and a THM S.
These are very rich so I keep the servings small. Having one after dinner with a cup of coffee is perfect for me. My kids love these too. The praline topping will firm up like toffee after a few days in the fridge. It is divine! 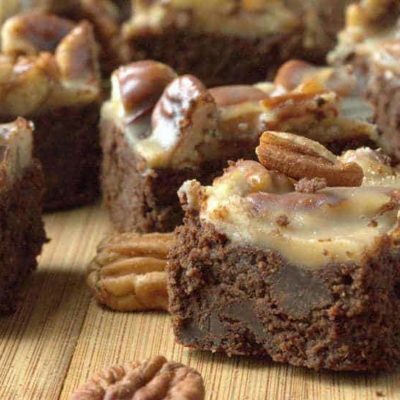 They Pecan Praline Keto Brownies are fudgy, full of chocolate chips, and covered with a layer of pecan praline. 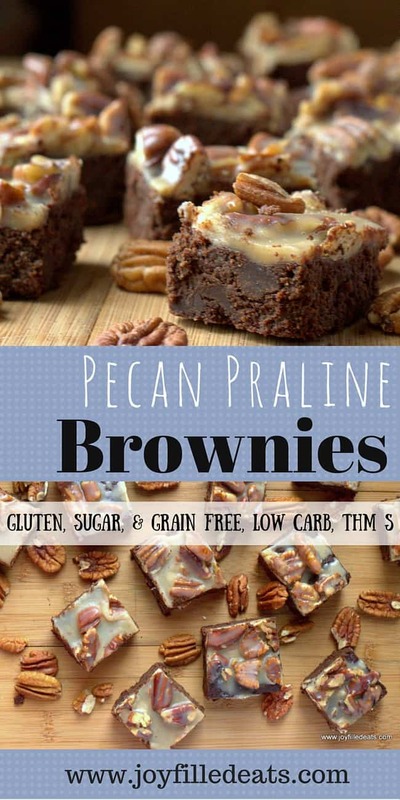 Low Carb, Keto, Grain Gluten Sugar-Free, THM S.
Preheat oven to 350. Line an 7 x 10 baking dish with foil and spray with cooking spray. Melt the chocolate and butter in a glass bowl in the microwave. Add the next four ingredients and stir until smooth. Add the chocolate chips. Pour into the prepared baking pan and spread evenly. Bake for 30-35 min until no longer jiggly. Cool for 10 minutes. Spoon the prepared pecan praline on top. 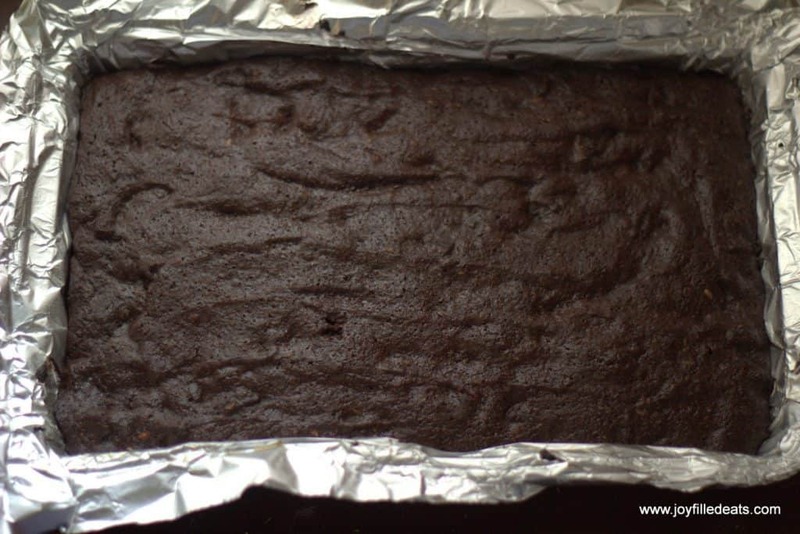 Refrigerate until set and cut into squares. Hmm... are you using different brands of flours since the first time? The coconut oil in my fudge brownies does pool on top but then it is reabsorbed. 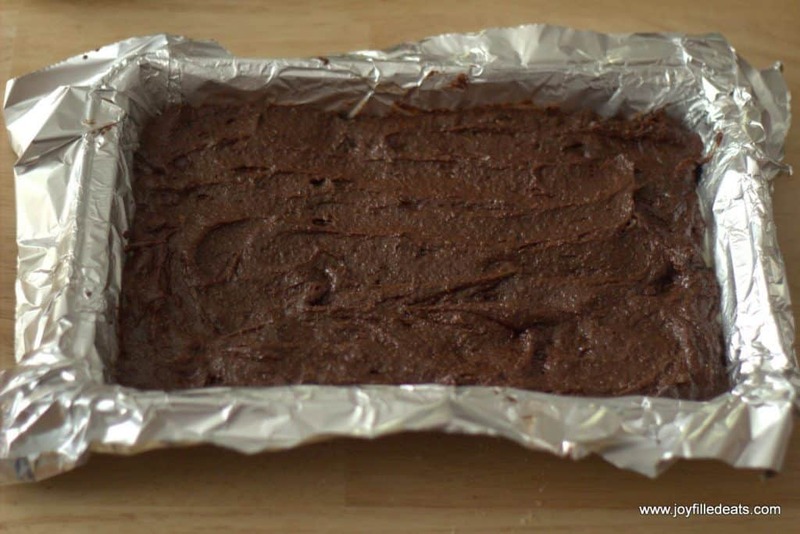 Does the butter get absorbed back into the brownies? Amazing!!! Thank you! I made these today and doubled the recipe. Am having difficulty staying away from the pan!! Can I just do 1/2 almond flour and 1/2 coconut flour? No, I think that would make these too dry. I would do 2/3 almond and 1/3 coconut if you'd like to omit the flax. I think it is 1:1. Is truvia twice as sweet as sugar? I know that a few of the sweeteners are equal to gentle sweet. Sorry for probably silly question (hate those LOL) but is the baking chocolate sugar free? Yes, unsweetened baking chocolate is sugar free. Can the thm baking blend be substituted? Yes, but use a little less. Hi, Taryn, discovered your recipes by chance and, although I am not gluten or sugar-free, realized that they would be great for Passover sweets, as your baking blend is wheat free! One question: if I want to make a recipe that is sugar-free, how would I sub regular sugar? I saw that the ingredients in your sugar free blend are sweeter than sugar. Yet 2 cups sugar in this brownie recipe seems like too much. Thanks in advance! In step 2 it says add the next four ingredients. That includes the eggs. i'd like to use the baking blend too. is it the same?? how much do we use of that? thanks. Hi Taryn, I just love your recipes! Two questions regarding this one -- 1) salted or unsalted butter, and 2) do you pack the baking mix in the measuring cup or loosely spoon it in and then level off? Thanks for your help and for all your wonderful recipes! Happy Thanksgiving! Hi Susie, I always use salted butter. I find it balances the sweetness nicely. I scoop the baking mix with the measuring cup and then level it. So, in between packed and loose. I'd love to try these, but like one other person commented, I don't want to use flax. It is a potent hormone disruptor and contains more estrogen than any other plant food. I may try chia or use your suggestion to replace it with oat fiber. If anyone else has tried to sub out the flax, please let us know what worked! Hi Judy, I would just use 2/3 almond flour and 1/3 coconut flour. What can you do for a replacement for the 4 oz. baking chocolate? 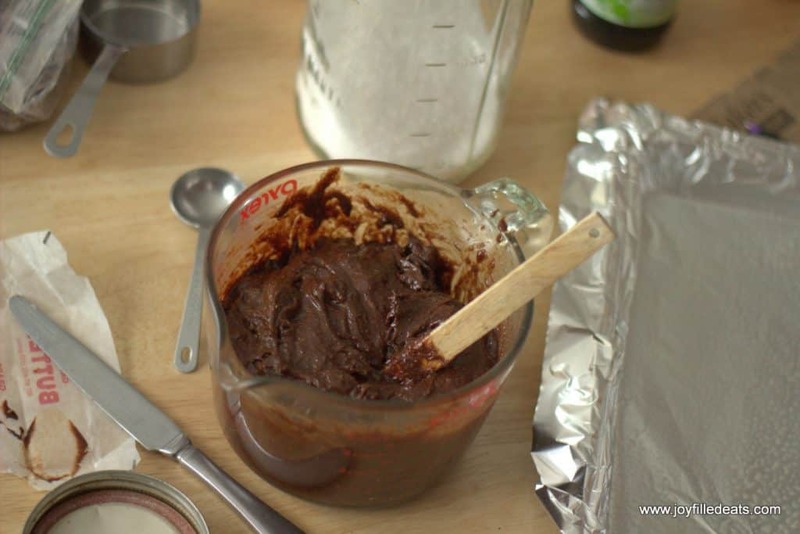 Can you use cocoa powder? Any substitution ideas? Hi Debbie, sorry but cocoa powder would not work. You really do need either baking chocolate or dark chocolate for this recipe. I meant Xanthan gum.....so moisture will be retained.....not sure of how much though. Love your website. 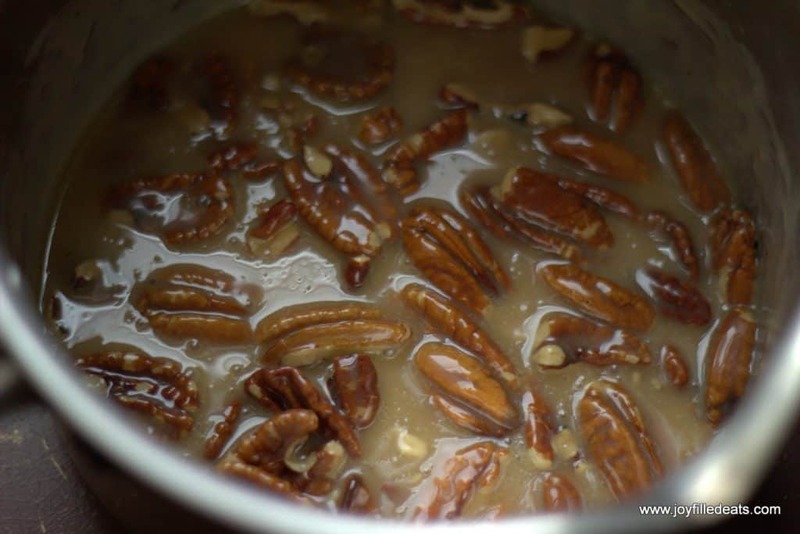 Where is the recipe for the pecan praline topping??? Taryn, so sorry, I did find the answer. I haven't been on the diet too long and I'm experiencing some fuzziness in the head! ;) Thank you for your recipes. They look marvelous. 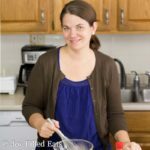 I hope this isn't something you've covered somewhere already, but are all of your recipes THM even if they don't specify? This one, for instance? I want to make this but all I have is swerve sweetener can I use that only? And if so how much would I use? Question.....is the 4 oz baking bar unsweetened? If you can't do almond what would you sub in the flour mix? You could try using another nut flour if you can use other nuts. Otherwise oat fiber would probably work. These look absolutely delicious!! And a FYI, medicinetimes.info copied this blog word for word on their page. Thanks for letting me know. That's been happening all the time. It is really annoying! Before I started blogging I had no idea this happened. Is that 1/2 cup each coconut flour,almond flour, and flax seed..or just 1/2 cup total..? 1/2 cup total. So it is 1/6 a cup of each (which is equal to 2.66 tablespoons of each). This is the best dessert I have ever eaten that is on plan!!!! Fabulous!!! 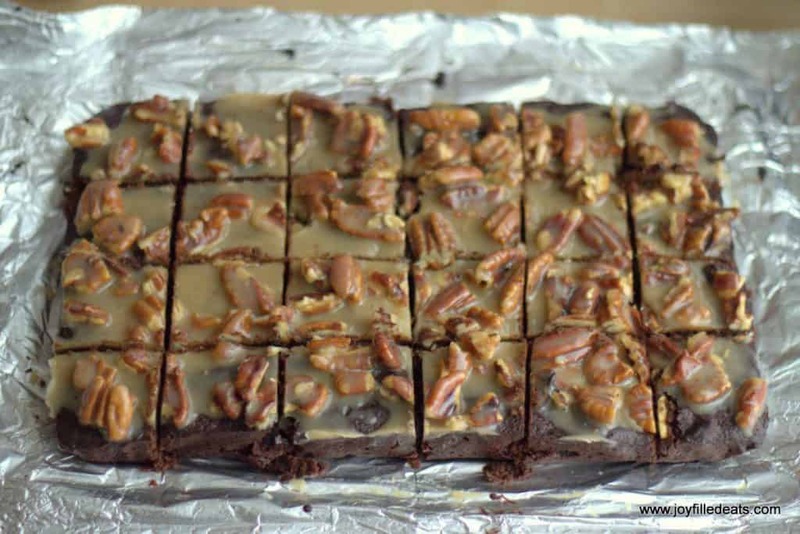 One recipe of the pecan pralines is not nearly enough to cover the top of the brownies and have it look like the picture. I had to triple it. Hi Donna, what size pan did you use? I followed this exactly and it did cover mine. Did I miss where it said serving size? How many carbs/fat per serving? I don't do flax or chia, and don't want to alter this lovely recipe, but would u be able to advise a sub for the flax? ?I must make these!!! You could try oat fiber. Just using more almond flour might work too. I wouldn't increase the coconut since it takes so much moisture. Oh, In that case, wondering if psyllium would work also? I used THM baking blend and it was great! You should be able to sub in an equal amount.